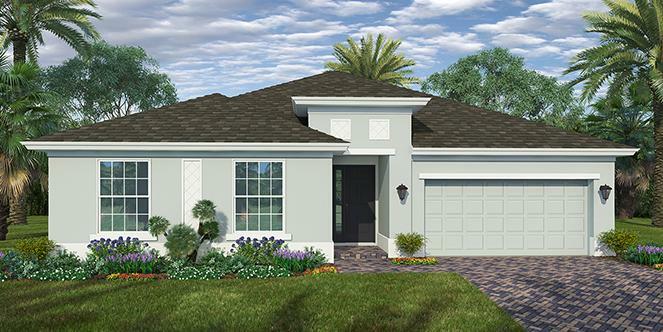 RX-10486300 GHO Homes newest and very popular floor plan: Our Marlin 3. IMPACT Windows throughout. 9'-12'8" ceiling heights with 8' DOORS. Tile in All Living Areas, Paver walk and driveway, entry and covered rear patio. Private well with irrigation system and fully sodded yard (floratam). 42’’ Cabinets, Crown Molding, with a beautiful backsplash for Kitchen Area. Full SS Kitchen appliance package. Granite tops and tub/shower tile throughout the baths. A free standing laundry has been added to the Laundry Room.